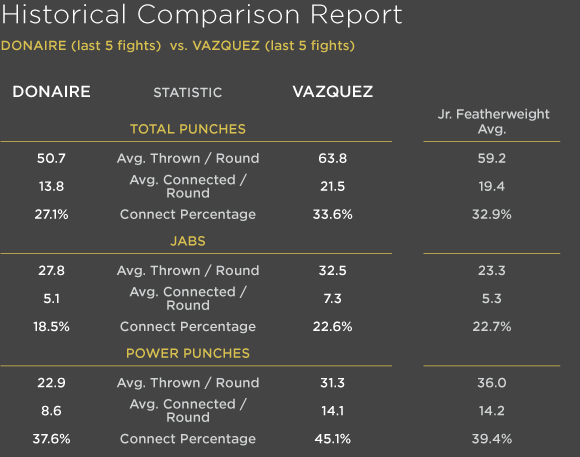 CompuBox Analysis: Nonito Donaire vs Wilfredo Vazquez Jr.
Nearly a year after scoring a sensational second-round knockout to capture his second divisional crown, Nonito Donaire will attempt to win a third Saturday at San Antonio's Alamodome when he fights Wilfredo Vazquez Jr., who lost that same belt to Jorge Arce last May. Just like Donaire's encounter with Fernando Montiel, "The Filipino Flash" will meet a fellow knockout artist who also can box well, for the son of three-division champ Wilfredo Vazquez Sr. boasts 18 knockouts in 21 wins and a wide range of skills. Nonito Donaire vs Wilfredo Vazquez Jr.